Listen to "Esperanto Self-Taught with Phonetic Pronunciation, Volume 2" on your iOS and Android device. 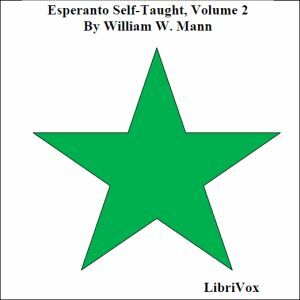 This is Volume 2 of William Mann's "Esperanto Self-Taught with Phonetic Pronunciation". It is part of a series of Self-Taught books written by various authors that include vocabularies of common words, elementary grammars and conversational phrases. The present volume contains an elementary grammar of Esperanto. If you want to understand Esperanto grammar, this volume may be of use to you. Mann writes, in the preface, that with "the aid of this book anyone may undertake a trip to a foreign land, even if he know nothing of the language of the country he is going to, and, if he will put himself beforehand in communication with Esperantists in the various places he intends to visit, he will find them ready to help him in many ways, and his stay abroad will thus be made much more entertaining and instructive than if he had spent his time in the conventional manner of the ordinary tourist. A further great advantage of this international language is, that it opens up to the traveller, not merely one particular country, but the whole of Europe."